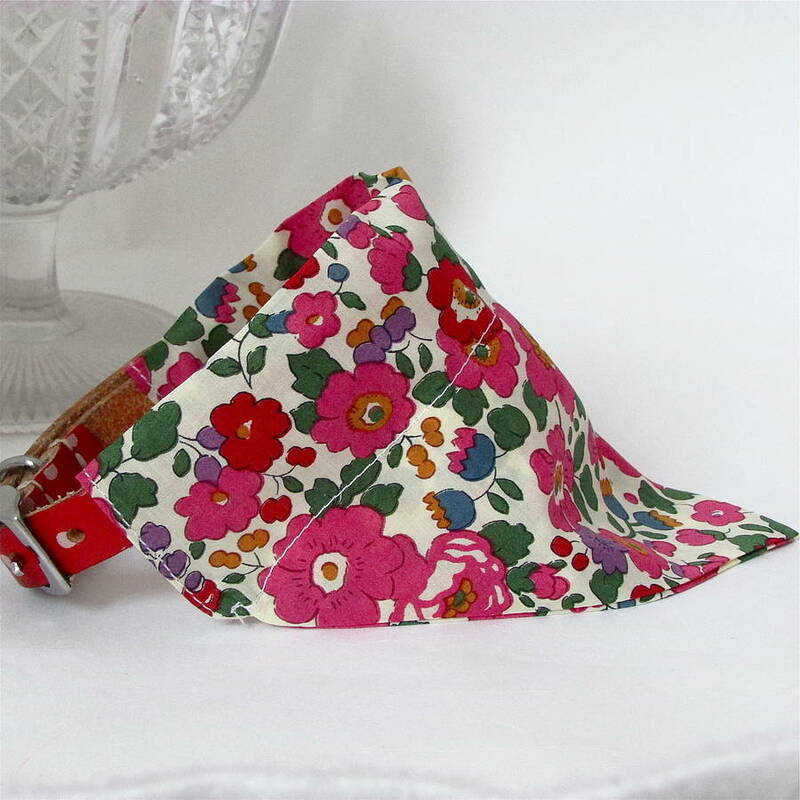 A super cute Liberty print neckercheif / bandana. 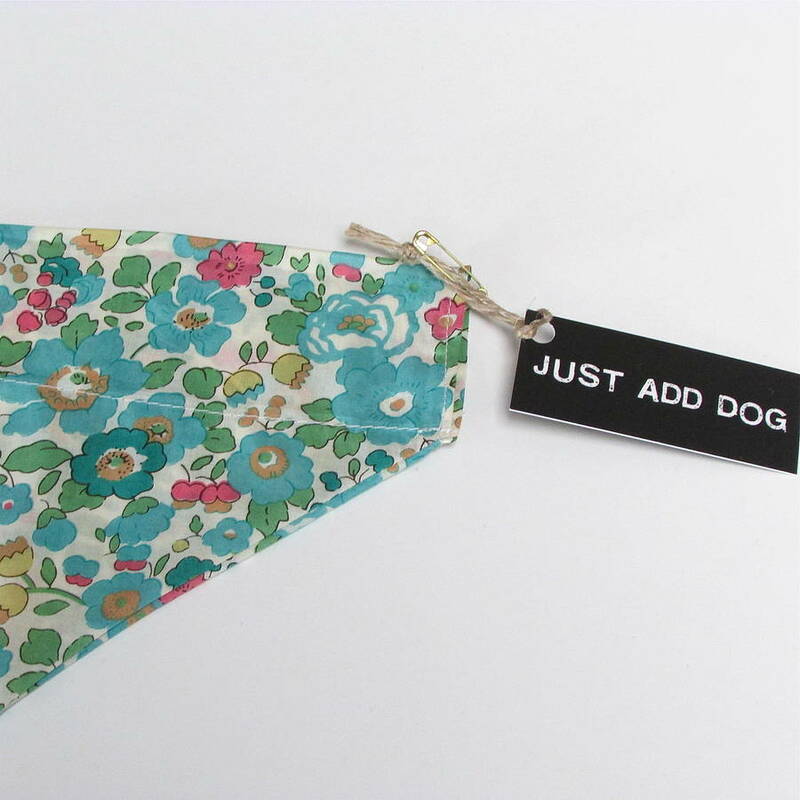 The instant way to make your dog look super smart & add extra cute factor. Edamay's dog neckerchief bandanas are handmade in our Somerset studio from lovely soft Liberty Tana Lawn fabric. 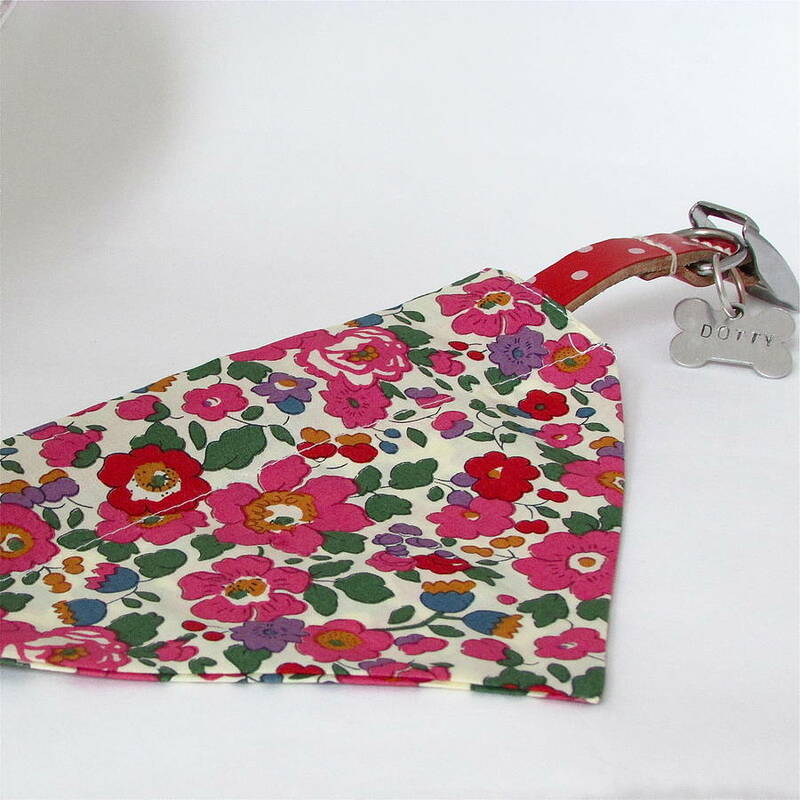 The neckerchiefs slide directly onto the dog's collar so they stay securely attached without any discomfort or annoyance to your dog. 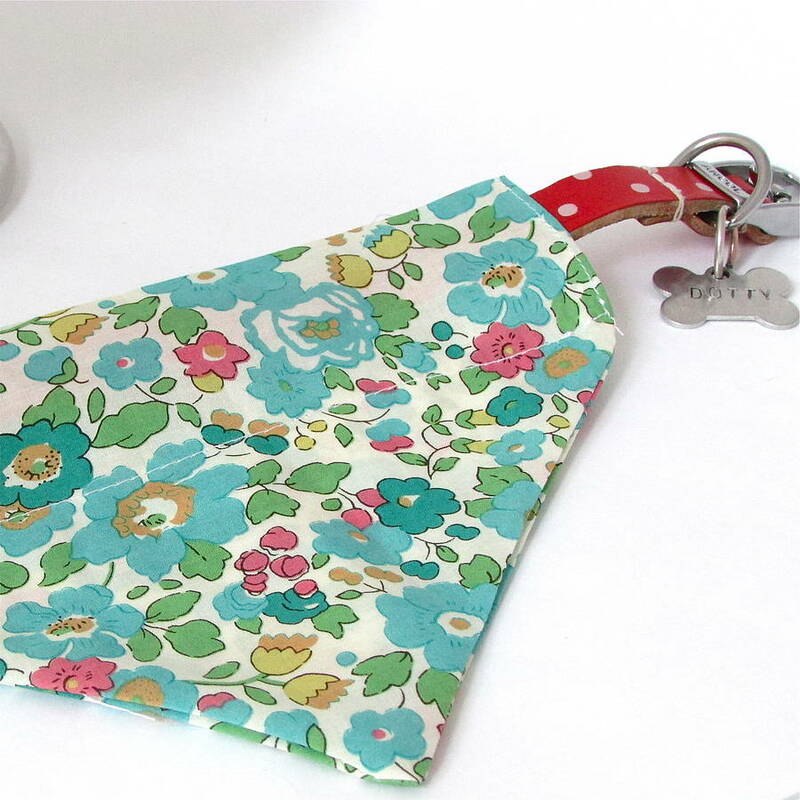 This also means that they do not come off whilst your dog is playing or being exercised! 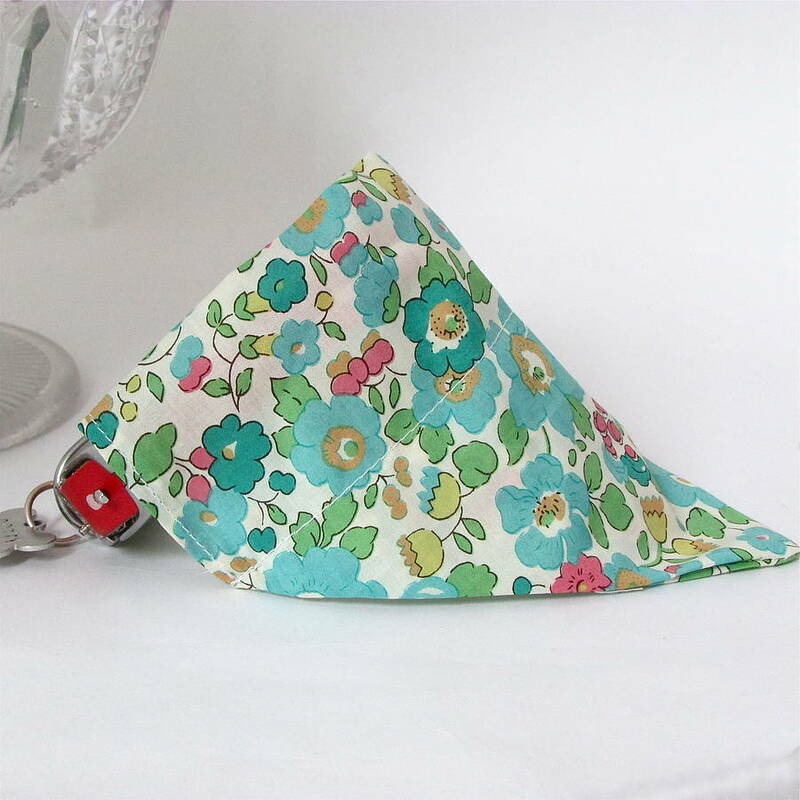 Available in two floral colour-ways: Greens & Blues or Reds & Pinks. 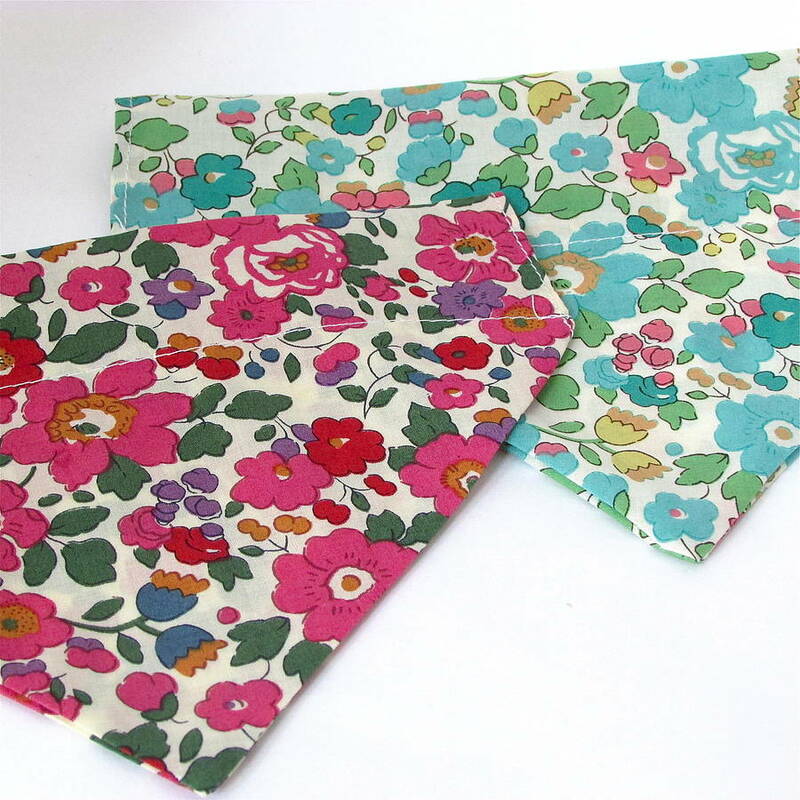 Available in 3 sizes: Small, Medium & Large, please select size & colour required. 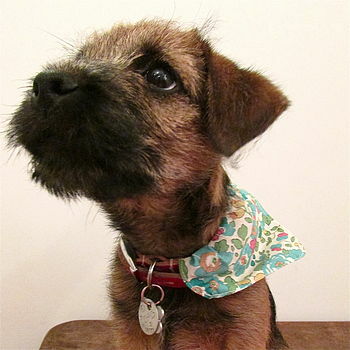 For reference the dog (Dotty) modelling the neckerchief is wearing a 'small' neckerchief. 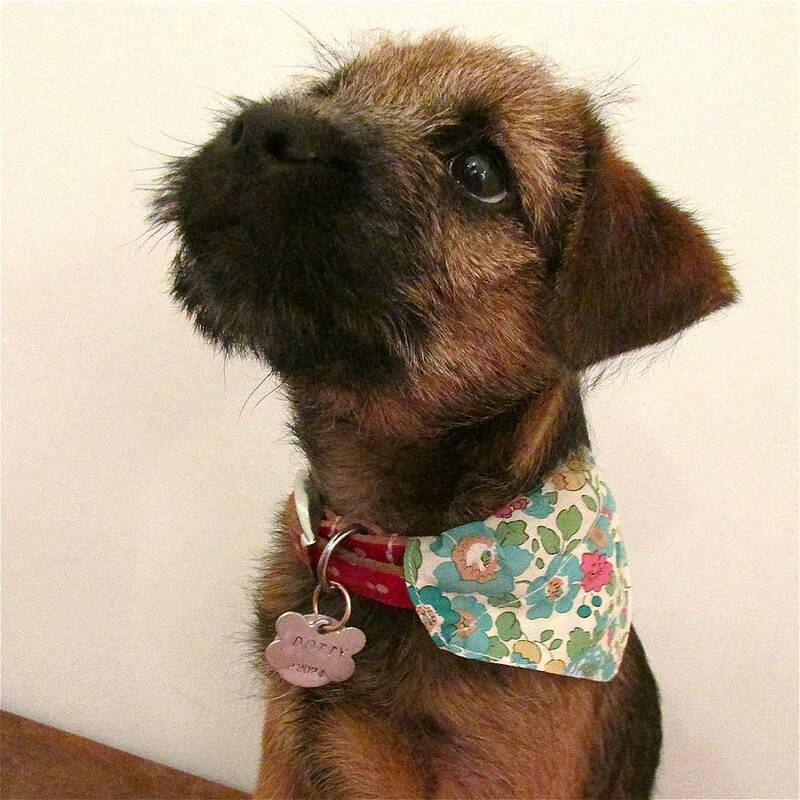 Dotty is a 3 month old Border Terrier puppy.